If you live in Ashton-under-Lyne and are looking for local TV or satellite installation and repair experts, then call The Aerial Guys. We are passionate about providing you with the best possible service. Contact us today on 0161 3272687 to book an appointment. 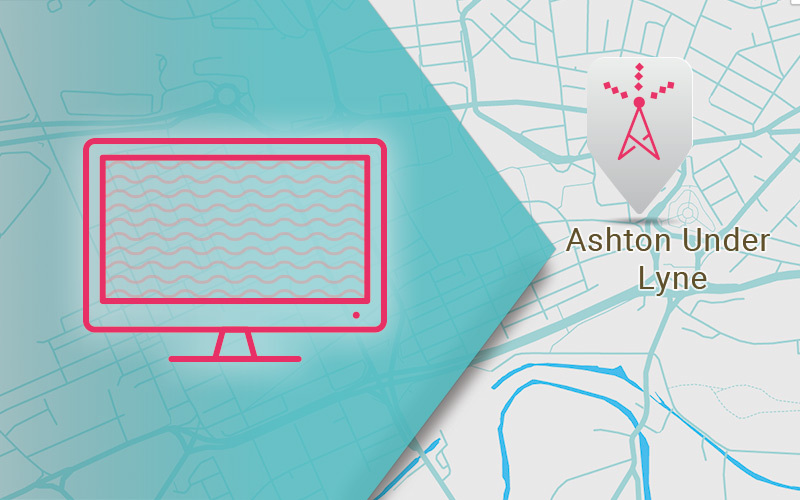 If you want a complete TV Aerial Installation Ashton-under-Lyne or satellite installation in Ashton-under-Lyne then we’ve got it covered. The Aerial Guys can set-up your entire system – from fitting your satellite dish, to configuring your set-top box and sorting out the cabling connections. Here at The Aerial Guys, we specialise in all the main satellite services, including Sky, Freesat and European satellite installations. Call The Aerial Guys today on 0161 3272687. If your satellite signal is starting to scramble or is looking pixelated, then The Aerial Guys can help. Our fully trained team carry out full satellite repairs in Ashton-under-Lyne and the surrounding area. Our professional engineers permanently stock a wide range of equipment, suitable for all the leading satellite types, which means that we can often fix the problem on the day we come. So, if you’re in the Ashton-under-Lyne area, and need a local satellite repair service, speak to The Aerial Guys today on 0161 3272687. Our friendly and efficient aerial installers will initially assess your TV aerial’s performance before presenting you with a fixed price, upfront quote there and then – before any work actually starts. With a diverse and far-reaching network of engineers, working right across the North of England, The Aerial Guys can often ensure an expert engineer visits your Ashton-under-Lyne home the very same day. We have carried out numerous TV aerial installations in Ashton-under-Lyne over the years. So, unlike some of the bigger, less approachable companies, at The Aerial Guys we really do give you a local service that you can trust. So, whether you’re after TV aerial repairs in Ashton-under-Lyne, or thinking of installing a new TV aerial, The Aerial Guys are always ready to improve your TV viewing needs. Speak to one of our technical advisers today on 0161 3272687 to find out how to arrange a visit from your local Ashton-under-Lyne engineer. “We really didn’t think that anyone could fix the system as the picture was so bad, but The Aerial Guys were so much better than we could have imagined. The engineer fixed our satellite system within a couple of hours and he gave us the number for the aftersales helpline service. The picture quality we have is so clear now and there was no call out charge either! We only paid for the service and parts that were required. I’d recommend The Aerial Guys to everyone I know from now on. They were really great!” Izabela says.